He returns to host this week as the rarest of alums: a late-night comedy star in his own right. Jimmy Fallon returns to "SNL" as a more polished showman. "Saturday Night Live," over the last 36 years, has spawned many performers whose subsequent stardom eclipsed their not-ready-for-prime-time nights. We've seen them in the movies (everyone from Chevy Chase to Will Ferrell), in sitcoms (Tina Fey and Amy Poehler) and even in the U.S. Senate (Al Franken). But for decades, post-"SNL" triumphs proved elusive for those seeking a new berth in daily late-night TV comedy (sorry, Chevy). Jimmy Fallon, set to host "SNL" this weekend for the first time since leaving the show in 2004, returns as the rarest of alums: a late-night success five other days of the week. 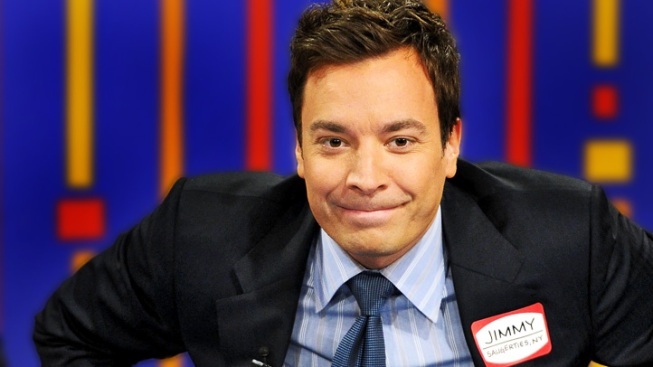 Nearly three years into his "Late Night" stint, Fallon has come into his own as a TV force in a traditionally tough – and now crowded – after-hours landscape. He got off to a shaky start in early 2009, his apparent nervous energy threatening to overwhelm his usual youthful, goofy charm. Still, he showed an early eagerness to try new bits, even if "Lick it for Ten" never quite worked for us. The willingness to experiment soon yielded stronger features, like "Thank You Notes," “Slow Jam the News” and "#latenighthashtags," which speaks to his success in using social media to cultivate a young audience. But perhaps Fallon's strongest draw is his growing ability as a musical mimic and parodist, performing the “History of Rap” with Justin Timberlake and channeling Neil Young and, more recently, Jim Morrison singing the theme from "Reading Rainbow," which may be the funniest thing he'll ever do. Some of those parody videos have gone viral, exposing him to a larger audience, as did his Bruce Springsteen-inspired opening number at the Emmys last year. The Emmys gig marked a breakthrough, establishing Fallon to millions of prime-time viewers as a quick-witted and, above all, confident host – sans any hint of arrogance or ego. That sense of self-assurance seemed lacking at times in his early days on "SNL," even if his talent and likability were instantly apparent. He made an impression as Sully, the crass Boston teen, and somehow made the inane concept of a Barry Gibb talk show work. But for much of his six-year tenure, he stood out most for sometimes cracking up during skits (though it's hard to blame him for losing it during the classic "More Cowbell!" routine). Fallon didn't find his "SNL" niche until producer Lorne Michaels teamed him with Tina Fey on "Weekend Update." Their chemistry – her smart snark mixed with his deceivingly earnest and good-natured delivery – gave new life to the fake-news formula the show (and Chase) helped invent. Credit Michaels for sticking with Fallon, not only on "SNL" but also on "Late Night" – giving him time to find his comedic way in a different format. Michaels’ similar approach also worked with Conan O'Brien, a former "SNL" writer who needed time and space to develop in the same 12:30 a.m. NBC time slot where David Letterman grew into a TV icon. Jimmy Fallon, at age 37, returns to “SNL” a more polished showman, poised to put on a performance that amounts to a thank-you note to the show that helped propel him to a second late-night life.